I started these socks two days ago. I took what I had done apart yesterday. I really tried to like them, but I couldn’t do it. This is the first time this has happened. 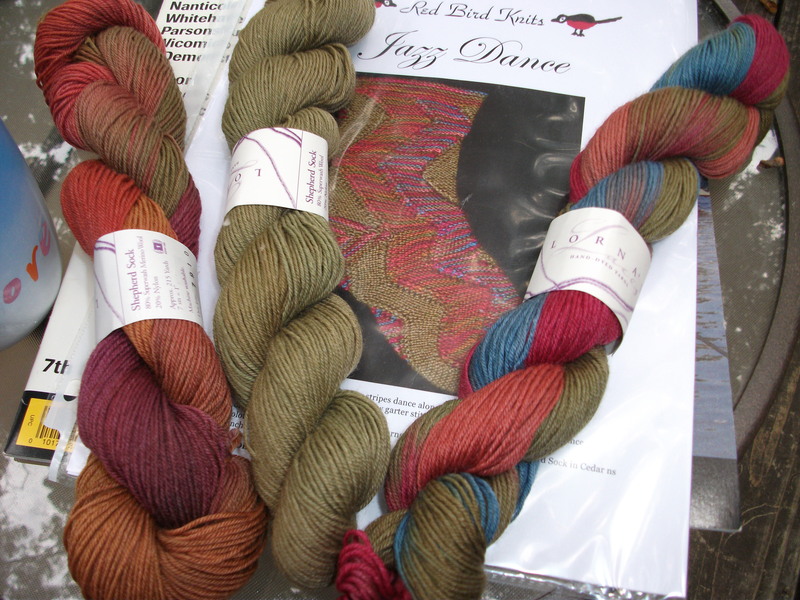 Red Bird kits have always been so much fun, but the Jazz Dance socks are not for me. I have a few other patterns in mind. In the meantime, I’m making gloves for someone who lost a finger. That should be fun. I had my annual eye exam this morning. My cataract is growing. Bummer. I have to go back in eight months. I’ve had it for about sixty years. My brother hit me in the eye with his slingshot. We had recently moved into our first house and didn’t own a car. The local doctor said I should go to Wilmer at Hopkins. I didn’t want to go. We would have to take a bus, a streetcar and a bus to get there. I hated the ride. I had been going there since I was two for “lazy eye”. The best part was the blood on my eye. It rolled around when I tilted my head. It made my mother sick so I did it as much as I could. I loved it. This entry was posted on July 29, 2010 at 12:07 am and is filed under Family and Friends, Knitting. You can follow any responses to this entry through the RSS 2.0 feed. Both comments and pings are currently closed.